Also known as John Lee Malvo, this teen has probably killed more people than any other teen killer we have yet encountered. Not only the dozens he murdered and wounded in the D.C. Sniper shooting spree, but he has since confessed to approximately 40 murders in 7 states. He is serving life, tried as an adult, in the state of Virginia. If there were ever a teen killer for whom the natural life sentence is appropriate, this is the case. 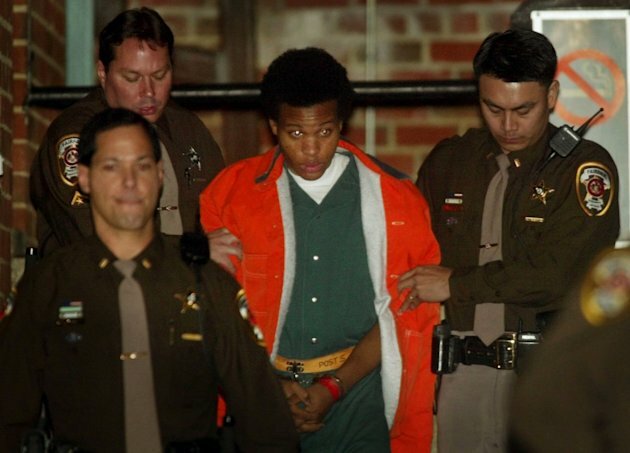 Davis Turner/Pool/Getty Images – Lee Boyd Malvo is escorted by deputies as he is brought into court to be identified by a witness at the Virginia Beach Circuit Court on Oct. 22, 2003, in Virginia. Lee Boyd Malvo, the younger member of a pair that terrorized the D.C. area a decade ago with a series of random, sniper-style shootings, is challenging his many life-without-parole sentences, citing a recent Supreme Court decision that bans the mandatory imposition of such penalties on juveniles.In documents filed by his attorneys earlier this week in federal court in Maryland and Virginia, Malvo, now 28, claims that the 2012 Miller v. Alabama decision could render as unconstitutional his 10 life-without-parole sentences in two states. 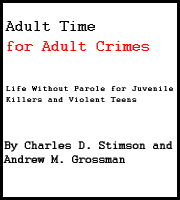 The 5 to 4 decision held that mandatory life-without-parole sentences effectively constituted cruel and unusual punishment for children, but judges could still impose the stiff penalty if they took mitigating circumstances into consideration. PHOTOS | Ten years ago, John Allen Muhammad and Lee Boyd Malvo went on a killing spree that terrorized the D.C. area. PHOTOS | Ten years after snipers John Allen Muhammed and Lee Boyd Malvo terrorized the region, the case still haunts those who were directly affected. VIDEO | The Post’s Josh White describes his exclusive interview with convicted sniper Lee Boyd Malvo, who admits to feelings of guilt and details his relationship with John Muhammad. AUDIO | Convicted sniper Lee Boyd Malvo talks with The Washington Post’s Josh White in an exclusive telephone interview from Red Onion State Prison in Virginia. Find the Post’s coverage of the sniper shootings from 2002. A letter Lee Boyd Malvo sent to Post reporter Josh White ahead of their prison interview. The filings were first reported by The Daily Progress of Charlottesville.Those involved in the case say Malvo, 17 when the attacks began in 2002, still has little chance of ever getting out of prison. 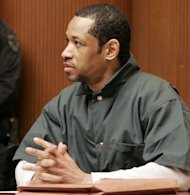 While his four life sentences in Virginia — two in Fairfax County and two in Spotsylvania County — might be considered mandatory, the Maryland judge in Montgomery County had discretion when he imposed six consecutive life terms without parole on Malvo, those involved in the case said.“Because the Maryland sentences were not mandatory, then this legal challenge would not impact . . . the sentences he received in the Montgomery County killings,” said Alan Brody, a spokesman for Maryland Attorney General Douglas F. Gansler. 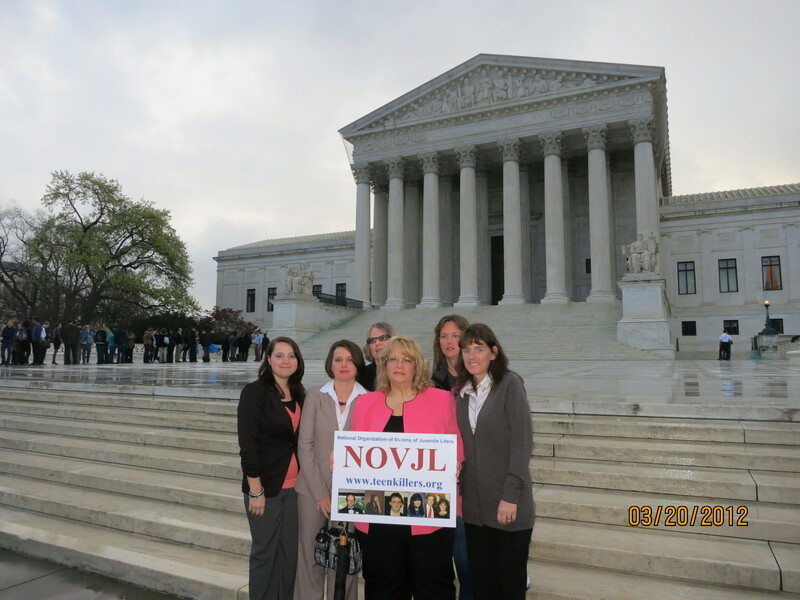 “Even if these challenges were successful in Virginia and altered his sentences there, the Maryland rulings, we believe, would be unaffected, and Mr. Malvo would continue to serve his life sentences,” Brody said. 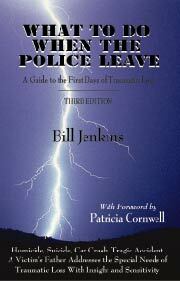 William C. Brennan, who filed paperwork for Malvo in federal district court in Maryland, said there were “significant challenges” to having Malvo’s sentences in that state reconsidered — including that Maryland does not have mandatory life without parole, and that Malvo was still in prison in Virginia. “We filed it to preserve his technical rights under the recent Supreme Court case, but we don’t expect it to be heard because he’s not a Maryland inmate and Virginia has to resolve what they’re doing first,” Brennan said. Malvo’s lawyers in Virginia did not immediately return calls and e-mails seeking comment. Caroline Gibson, a spokeswoman for Virginia Attorney General Ken Cuccinelli, said her office had not yet been served with the filing. Malvo and another man, John Allen Muhammad, ambushed 13 people, killing 10 of them, in the D.C. area over 21 days in October 2002. After the two were caught, they were tied to at least 11 more shootings from Washington state to Alabama, five of them fatal. Muhammad was sentenced to death and executed in 2009. Malvo remains incarcerated at Red Onion State Prison in Wise County, Va.
Malvo expresses remorse in the interview with The Washington Post (wapo.st/SrLk9I) and urged the families of victims to try and forget about him and his partner John Allen Muhammad so they can move on. Tuesday marks the 10th anniversary of the beginning of the deadly spree in the Washington area carried out by Malvo and John Allen Muhammad. The pair has been linked to 27 shootings across the country, including 10 fatal attacks in the Washington area. Malvo, 27, told the Post in a rare interview that the look on the face of victim Linda Franklin’s husband right after she was shot stands out in his memory of the rampage. Franklin, a 47-year-old FBI analyst, was killed as she and her husband loaded supplies outside a Home Depot in Falls Church, Va. The sniper-style attacks all but paralyzed the nation’s capital, as people were shot at random while going about their everyday life — pumping gas, buying groceries, and for one young boy, as he went to school. The shooters used a high-powered rifle, firing from the trunk of a modified Chevy Caprice until they were tracked down at a Maryland rest stop. 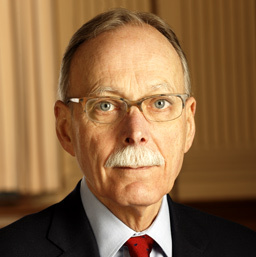 Malvo has declined to respond to many media requests, including letters from The Associated Press. He was interviewed in 2010 for a cable TV special. When asked by the Post what he would say to victims’ families, the remorseful Malvo said there’s no way to properly convey an apology. Linda Franklin’s father, Charles Moore, was incredulous about the idea that victims’ relatives would be able to forget about what Malvo and Muhammad did. “There’s no way. I can’t believe that. No one can go through something like that,” Moore said in a phone interview with The Associated Press. Moore said he believes his daughter’s slaying contributed to his wife’s death several years later. “What he did just destroyed my family. I’ll never be able to put it aside. Never,” he said. Alleged to have murdered Latisha Frazier in Washington D.C. in 2010, along with other adult aged offenders. All will be tried as adults.